oh Monday hello again. I hope everyone had a wonderful weekend! Mine was pretty low key, but i'm not gonna lie I love it like that! However one thing I did do this weekend was officially launch Messy Extras! What is Messy Extras? Well it's going to be a few different things but the first thing that I launched was Custom Blog Design for Blogger & Wordpress! I have been designing websites for small businesses for over 2 years now so I figured why not use my skills for blogs too....plus designing blogs is so much more fun! I just did my first blog design over at My Cliffnotes for the hilarious & fabulous Tabitha! So be sure to check it out & check out her blog because it's the bee's knees.....bee's knee's? who the hell am I right now? Monday must be making me delirious....moving on -- over the weekend I got a response to a comment I left on a fellow blogger & I was so touched by what she wrote me that I had to share. so sweet right?! i was really touched....thank you girl, you know who you are & you're amazing! Hey there Messy Dirty Hair friends I'm Jennifer! 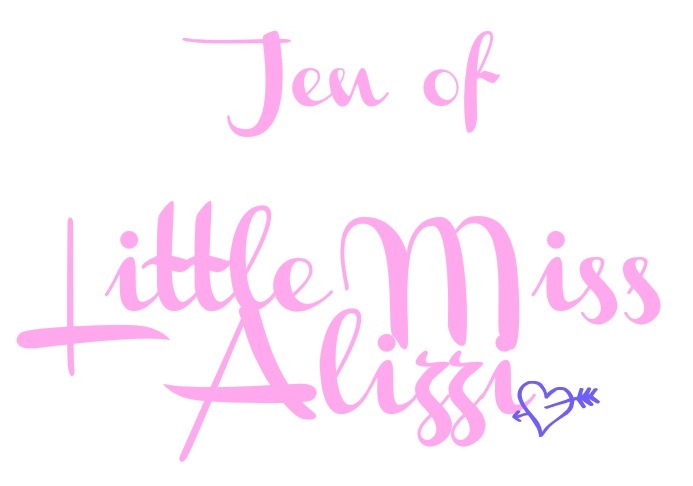 You can find me blabbering on & on over at Little Miss Alizzi. This is where I love to share snippets of my crazy little life. fashion dreamer & amateur recipe maker! "uh-ohs" in life to hearing me go on about my thrifting bargains. 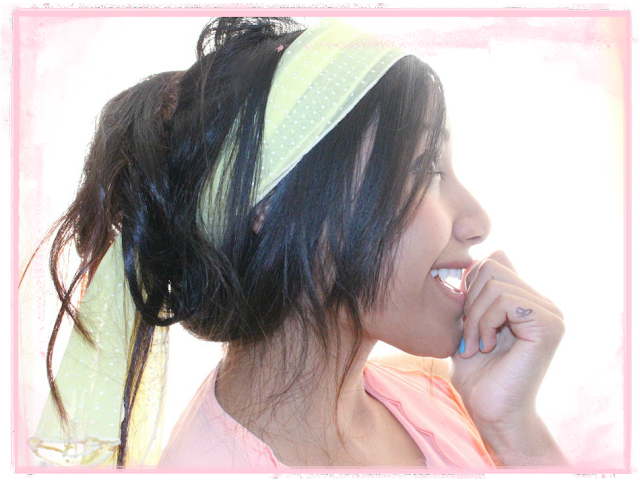 So stop on by my little Blog! I love meeting new blogging buddies! It's Your Last Day on Earth, What do You Do?! If today was my last day on Earth I would gather up my little family... Load them up in a '67 Volkswagen van..
Find the best burger joint around....Stop by one awesome banana split making place .... And finally head to the beach!! 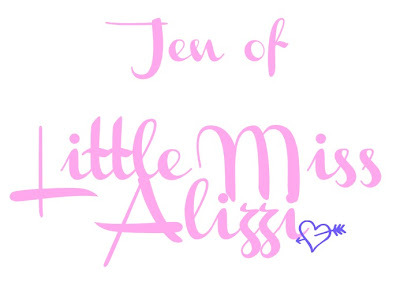 I came up with my blog name Little Miss Alizzi simply because Alizzi is my last name. I get lots of "how do you say that?" It's a pretty fun last name to have...well at least I think so. "Little miss" kinda just stuck with me thanks to my last place of employment. Everyone would call me Little miss..they would say I was an old lady in a kids body. hmmm, now that I think about it I don't know if that's a good thing? Everyone would ask if I was still in high school..I hated it! What's Something we don't know about you that we should?! One thing you just gotta know about me is that I am totally OCD about mopping... Please tell me someone else has this problem. I literally mop between 1-4 times a day! Yes, crazy I KNOW! I totally hate this about myself & I have no clue where this came from, but I am trying my hardest to overcome this pesky, time consuming, pulling my hair out problemo! So pray for me y'all! Isn't she just great!? And don't you just LOVE that picture of her?! So pretty! 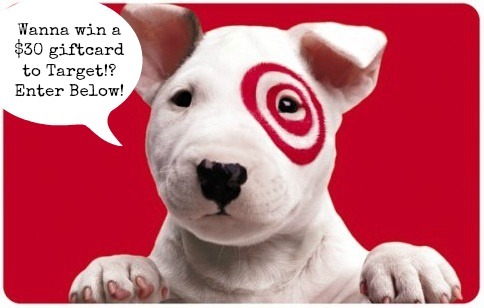 So today Jen is offering one of you lucky readers a chance to win $30 Gift Card to the one & only TARGET!!!! Also, my hilarious toddler and pumpkin chocolate chip cookies. Stef @ Miss Jo and Co.
My hubby and my two dogs make me happy! Isn't she sweet! And gorgeous! How exciting on your new projects! and I have to agree on that comment, although I'm relatively a new follower, I love the way you write. So...well, real! I follow both you and little miss alizzi already - yay me!! Other than Target :)...my kids (especially when they are sleeping or playing quietly together), McDonalds cokes, and dark chocolate milky ways....oh and watching TV uninterrupted! My bf and our dogs make me happy! What makes me happy: crunchy leaves, fall colors, crisp air, and my family all sitting around a campfire. what a sweet comment from your fellow blog friend! one thing i love about the blogging community, aside from being such an open and easy and available creative writing outlet for me, is the fact that i can connect and relate with new people who i would, most likely, never have the chance to meet in real life! very exciting. It's been SO long since I've been on your blog but I'm happy to be back in the blogging world again! I adore her!! I've been following her for a while now. She's just too cute! And my ittle bittles make me happy! YOU MAKE ME HAPPY! :) Love ya! Nice nights at home with my hubby, doggie & a bottle of wine make me super happy! stress free days(far and few between), chocolate and my boyfriend. my boyfriend, he always knows what to do or say to make me smile! A LOT of things make me happy. I love when the seasons change. An outfit that fits well - a good hair day. Kisses. My puppy. My husband. Blogging. Music. Life. YOU make me happy GF. Love you! Fall makes me happy :) along with pumpkin spice lattes, boots, and sweaters...oh and target! ha.